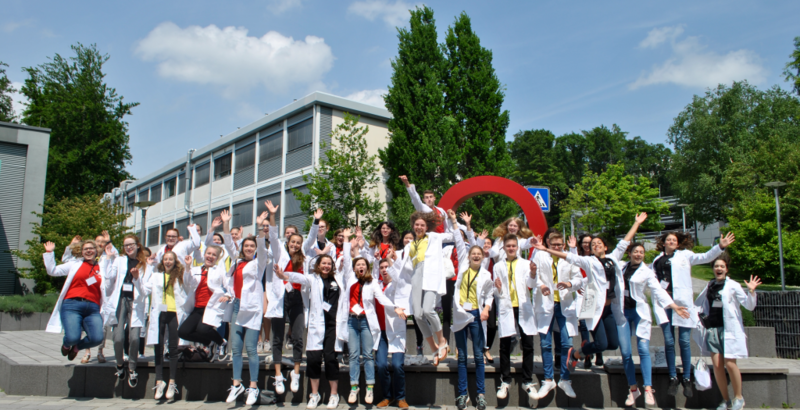 Outreach: The importance of being involved in DNO – Deutsche Neurowissenschaften-Olympiade e.V. When I first heard about the Deutsche Neurowissenschaften Olympiade (DNO) e.V. , I was a little surprised because I had never studied neuroscience as a subject in high school. 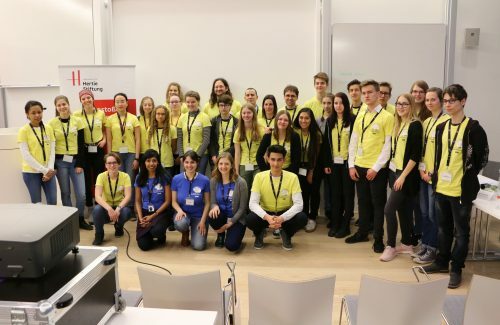 DNO is the German branch of the International Brain Bee, a science outreach initiative that organizes multi-stage neuroscience competitions for high school students on a global scale. The German Brain Bee (it’s original name) saw the light of dawn in 2011 with its competition taking place in Heidelberg. By 2016 it became DNO, a non-profit organisation with four local chapters (Heidelberg, Frankfurt, Berlin, Bonn) maintained and operated by more than 60 members coming from all over the world. No matter whether you are a PhD student, medical, biology or psychology bachelors student, a postdoc or a high school teacher: we all strive to create a high-standard neuroscience-outreach program to involve, inspire and introduce young and passionate kids to neuroscience − the next generation of neuroscientists, medical doctors, and-or psychologists. I don’t have enough words to describe the level of engagement, dedication, passion and hard work that the DNO team, to which I belong, puts into this program. When I was first introduced to DNO, I dreamt of to being a part of DNO’s cause right away: inspiring high school students to love and study such an amazing subject − the brain. Needless to say, I immediately jumped into the activities of DNO’s Academic Team to contribute to this program in the way I thought I would be more of help (and I would have more fun, too). Among DNO’s achievements, the one I am the proudest of is indeed the creation of the official DNO Study Guide, the first neuroscience handbook to be written and distributed to high schools in Germany. We, the DNO Academic Team, worked nights and weekends to create a comprehensive neuroscience compendium covering topics ranging from the development of the nervous system to neuronal cell biology, from cognition and perception to motor functions, from disease to brain repair. Chiara (in blue and seated in the middle of the bottom row) together with the DNO-Frankfurt student participants. During the competition, participants face written and oral examinations, a neuroanatomy test and a patient’s diagnosis session where they are aided by videos in which they see patients, as well as their doctors and families, describing their symptoms and struggles. All the efforts put into preparing the competition were definitely worth it for me. For me, It is a mix of thrilling, exciting and prideful emotions watching our contestants engage themselves in the study of the brain and of ways to understand, cure and treat it’s pathologies. Moreover, it is interesting to attend the booths of the linked science expo, where DNO members guide contestants through hands-on neuroscience experiments…completely rejuvenating and inspiring for a senior PhD student, I would say. Outreach activities are of importance to get people closer to the “why and what” that we do as scientists. DNO inspires prospective biology and medical students to be creative and stay abreast of the latest research. Besides, we give them the opportunity to get a their first contact with real neuroscience work through internships and visits at international conferences. Other aspects of the DNO activities in Germany involves explaining how the brain works to a general audience, why it sometimes malfunctions and what we can do to treat it in such cases. No matter what you choose to do, I exhort you to get involved in science outreach activities. It is through these activities one can re-learn by teaching (raise your hand if you still remember everything you learned during youruniversity days), inspire and mentor future scientists, increase public awareness on a variety of topics, help people understand the importance of scientific research. You will also meet plenty of people sharing your same values and enthusiasm for science. Finding new friends and connecting to new scientific discussion’s buddies, as it happened to me thanks to DNO, is one of the many hidden pleasures of our organization. After all, our motto is Driving Connectivity! For more information about DNO and it’s activities, including how to join, visit our official website or and our YouTube channel today! Chiara is completing her PhD in neuroscience at the University Medical Center of Mainz, where she spent the past six years studying different aspects of neurogenesis. Since ever passionate about education, she couldn’t miss the opportunity to contribute to DNO and help spread scientific awareness. In her spare time she enjoys backing, inviting friends over for dinner…and feeding them till they can eat! She also can’t live without food for her brain, hence she loves reading classic literature and travelling to discover new worlds.